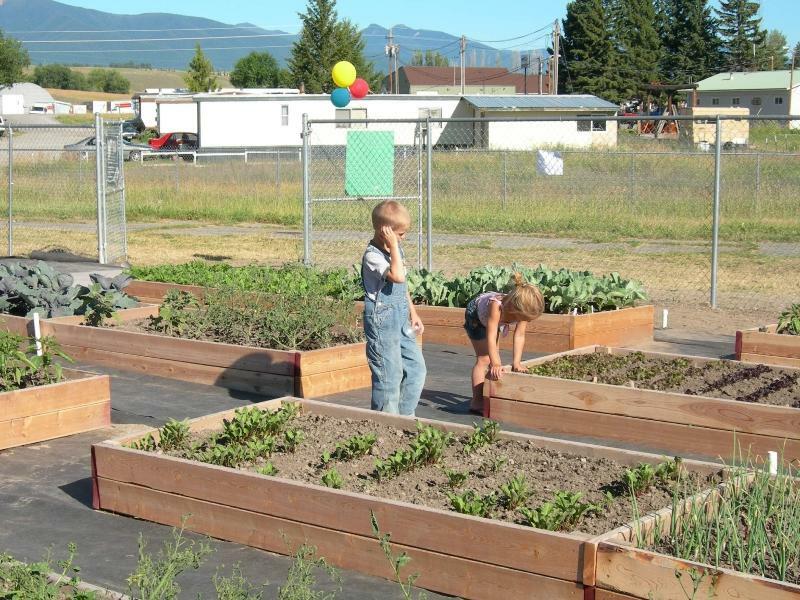 The Tobacco Valley Community Development Council, Eureka Area Chamber of Commerce, Montana State University Extension, Eureka Rural Development Partners and the Lincoln County Fair Board combined their talents and support to initiate and support the development of a local community garden. The community garden committee operates under the auspices of the MSU Extension Office and the Community Development Council, a non-profit 501(c)(3) organization. The community garden committee are volunteer Master Gardeners who have years of gardening experience. Volunteers accomplished all required work to fence in and build 33 raised beds along with a butterfly garden. The garden has partnered with local nursery owners who provide starter plants and with the owners of a local organic farm, Ten Lakes Farm, who advise the garden committee regarding sustainable organic practices. 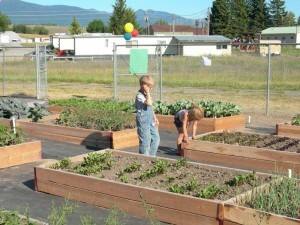 The goals for the garden are to improve access to affordable and healthy food; promote healthy food practices and active lifestyles; promote well-being and reduce health issues; provide a venue and opportunity for citizens to learn how to grow their own food in an organic and sustainable manner; reconnect the community with the importance of agricultural production; provide a research area for Montana State University Extension Office to improve overall agricultural/ horticultural production in the Tobacco Valley; tie gardening into life skills training; and enhance the local farmers market. The first season (2010) was focused primarily on food assistance. The Tobacco Valley is experiencing a 19% unemployment rate and approximately 22% of the residents live at or below the poverty level. The Tobacco Valley Food Pantry was provided nearly 600 pounds of produce that was distributed to over 150 families and another 100 pounds of produce was provided to families identified by local Clergy. This season, in addition to food assistance, outreach programs providing educational opportunities and opportunities to “grow your own” will be implemented. Specific efforts will directed towards youth and seniors. This is a long-term project that will have a lasting impact on the overall health of the community and will benefit literally thousands of residents. 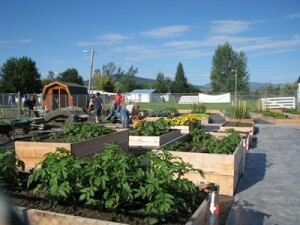 In 2012, the garden received a Scotts GRO1000 Grassroots Grant. The program awards up to $1,500 to local communities to help bring edible gardens, flower gardens and public green spaces to even more neighborhoods in the United States. A dedicated group of volunteers has made this garden a success. The ingenuity, resourcefulness and hard work of this talented group will ensure its continued positive impact on the community. Citizens of all ages have assisted in building and maintaining the garden. Although in its infancy, developing programs for school age children is a primary initiative. Outreach to senior citizens is also a priority. Posted in Healthy Eating, Lincoln, Programs, RHI Incubator Mini Grant Project and tagged Location, Programs.